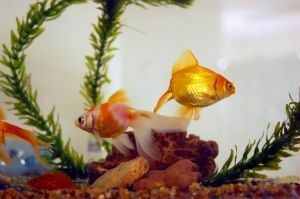 I reached office on Monday morning to find three employees from my business unit install a mini fish tank at my desk. They responded with wide grins to my surprised stare. I haven’t been more touched in my life. They had found out about my love of pets and decided to gift me two pet fish. Suddenly, every challenge at the workplace feels worth it. You may not notice it always but your employees always notice every time you fight for them. Definitely, the best Monday ever! ‹ PreviousWhat would you tell your department head?